My family has a new brunch crush – and like all the best new romances, it took us completely by surprise. The object of our affections? Spasso in Tsim Sha Tsui. This spacious and light-filled restaurant overlooks Victoria Harbour and is perfect for families, with its outdoor terrace a particularly good option for large groups. 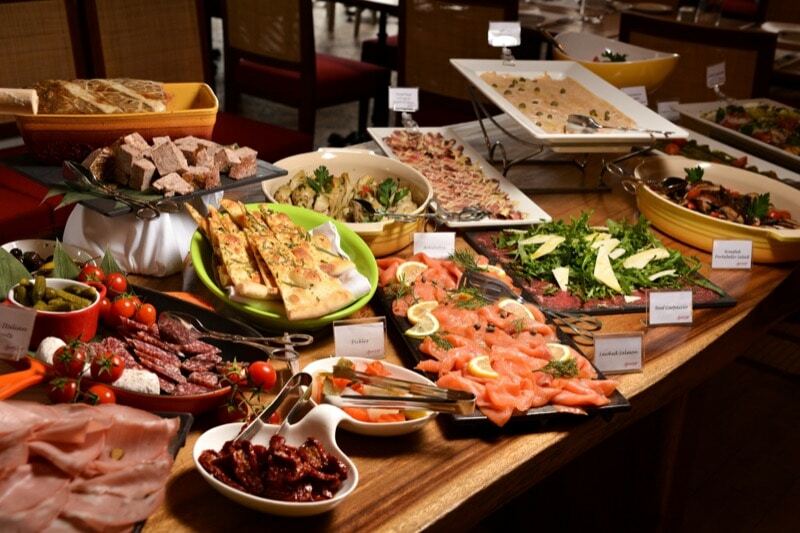 Spasso’s Gourmet Italian Brunch is a combination of buffet and à la carte mains of either risotto or pasta for HK$368, meat or fish for $398 or a chef’s signature dish for $438. The free-flow package starts at an extra $125. The Italian and international cuisine on offer means there’s something for everyone, which is great when kids are in tow. A traditional breakfast of eggs, bacon and sausages, pastries and cereals was perfect for Miss Six. Meanwhile, my husband and I feasted our way through a delicious array of antipasto, salads, carvery meats and an extensive selection of seafood, from sushi to lobster. And Miss Six was thrilled by the presence of hand-tossed, wood-fired pizza. Our impeccably timed mains – a creamy saffron risotto with braised oxtail ragu and melt-in-the-mouth veal cheeks – did not disappoint either. A basket of desserts to share with fruits, ice cream and cakes capped off a very satisfying meal. Special mention must be made of the service, which can be sketchy at times in Hong Kong. The staff at Spasso have mastered the art of being welcoming without being cloying, and attentive without being obtrusive; they are a large part of why Spasso is a new family fave for us.